As a family-owned and operated property management firm that has been in business since 1958, Greenthal has earned a reputation for attention to detail, personal involvement, superior service and integrity. We are one of the largest privately owned residential management and leasing firms in the New York metropolitan area. More than that, we are owners, board members, shareholders and residents ourselves. We understand the way you want to live, and we strive to improve your quality of life and protect your investment. William West joined the Charles H. Greenthal Management Corp. after leaving the Air Force in 1960. He began his career as a rental agent and then advanced to managing agent. Mr. West eventually became the head of the Management Division, supervising a staff of over 125 people and managing the assets of over 150 properties, comprising over 20,000 units. When the real estate environment shifted in the late 1970s and early 1980s, Mr. West converted over a dozen rental buildings to cooperative and condominium buildings and conducted all negotiations with the tenant groups and their lawyers. He has been involved in the sale of over 25 properties valued in excess of $100 million. As Chief Executive Officer and Chairman of the Charles H. Greenthal Management Corp., he enjoys the benefits of direct personal experience with all aspects of management, renting, leasing, commercial negotiations, sales of units and buildings and mortgage refinancing. He remains in constant communication with Greenthal's clients and personally attends to their needs. Mr. West also serves on numerous boards. Jonathan S. West has been involved in all aspects of New York City real estate for over 25 years. After beginning his career and working his way up through the ranks of the Lefrak Organization, he joined the Charles H. Greenthal Management Corp. Mr. West a licensed real estate broker in New York and Connecticut, and he holds a New York State insurance license. He serves on the boards of numerous cooperatives and condominiums and is a member of the board of directors of the Real Estate Board of New York (REBNY). Mr. West's responsibilities at Greenthal include overseeing landlord-tenant relations, lease renewals, implementation of management procedures and the expansion of Greenthal's portfolio. He has also been responsible for numerous large garage and commercial leasing transactions for tenants such as JP Morgan Chase Bank, Capital One Bank, Bank of America, North Fork Bank, Shake Shack, D'Agostino, 9 West and Eddie Bauer. Most recently he was responsible for Greenthal's purchase of Mark Greenberg Real Estate (MGRE). Charles H. Greenthal Management Corp. now manages over 37,000 residential units and 1,300,000 square feet of commercial space across over 250 properties located in New York City, Nassau and Westchester Counties valued at over $68 billion dollars. Under his leadership Greenthal has been named Management Company of the Year, Greenthal managed buildings are consistently cited by the Cooperator in their annual "Top Ten Best Buildings" list and the company has been rated one of the top 25 third-party managers by the National Multi-Housing Council. Mr. West has received a Certificate of Recognition from the Office of Senator Jose Peraltz, a Citation from the New York State Assembly, a Citation of Honor by the Borough of Queens, an award from the Building Managers' Association and has been honored by Kings of Queens and the Queens Courier. Personally, Mr. West donates his time and money to the Wounded Warrior Project. He and his wife, Staci, who have two daughters, Alexa and Jamie, are involved in various children's charities. They have helped fund special children's play rooms at Sloan Kettering and New York University Hospitals for use by children in need of special health care. Desi Ndreu graduated in 1992 from John Jay College with a Bachelor of Science degree in Legal Studies and a minor in Police Science/Psychology. She Joined Charles H. Greenthal Management Corp. in 2012 as an Account Executive. Winner of the Cooperator's Leadership in Management Award, Desi is expert at crisis management. At Greenthal she quickly joined our Special Operations Division. In addition to continuing to handle a complex portfolio as Account Executive, she trouble shoots buildings encountering difficult and complex problems and projects. Desi is also skilled at seamlessly transitioning buildings from one Property Manager to another. When Greenthal assumes the management of new properties or if a building moves internally from one Greenthal Manager to another, Desi efficiently and effectively integrates them. A veteran of the real estate industry for more than 40 years, Albert E. Mayas joined Charles H. Greenthal Management Corp. in 1996. Prior to joining Greenthal, Mr. Mayas was a Senior Vice President at American Landmark Management Corp., a Senior Vice President and Director of Operations at Brown Harris Stevens, Inc. and Vice President of Douglas Elliman-Gibbons & Ives. Mr. Mayas began his career as a Property Manager at Orsid Realty Co. He twice received the Management Achievement Award from New York Habitat magazine, both Manhattan Resident Managers Club and Metropolitan Building Mangers Club named him Manager of the Year, and he was honored with the Residential Management Community Service Award from the Real Estate Board of New York. A member of the Real Estate Board of New York, he has served on the Management Division Board of Directors, the Insurance Committee, the Building Codes and Regulations Committee, and is a current member of the Residential Management Council. Other affiliations include the Realty Advisory Board in Labor Relations, Advisory Committee for the Building Services Union’s Thomas Shortman Training School (Local 32 B/J Service Employees Union) and the Board of Trustees for the Manhattan Residents Managers Foundation. Mr. Mayas is also a Vice President of The Bridge, Inc., a non-profit organization offering mental health services, housing and vocational training for individuals with psychiatric illnesses, including veterans in need as well as individuals returning to the community after incarceration or hospitalization. Mr. Mayas has a Bachelor of Science in Anthropology from City College of the City University of New York and a certificate in real estate. James R. Letsen has been a Property Manager since 1984, and has coordinated the rehabilitation of eight residential apartment buildings in Westchester County. Jim graduated from Mercy College carrying a double major of management and finance and completed Commercial and Real Estate Management courses at New York University Institute of Real Estate. Prior to entering the real estate industry Jim served as a police officer with the Westchester Department of Public Safety. 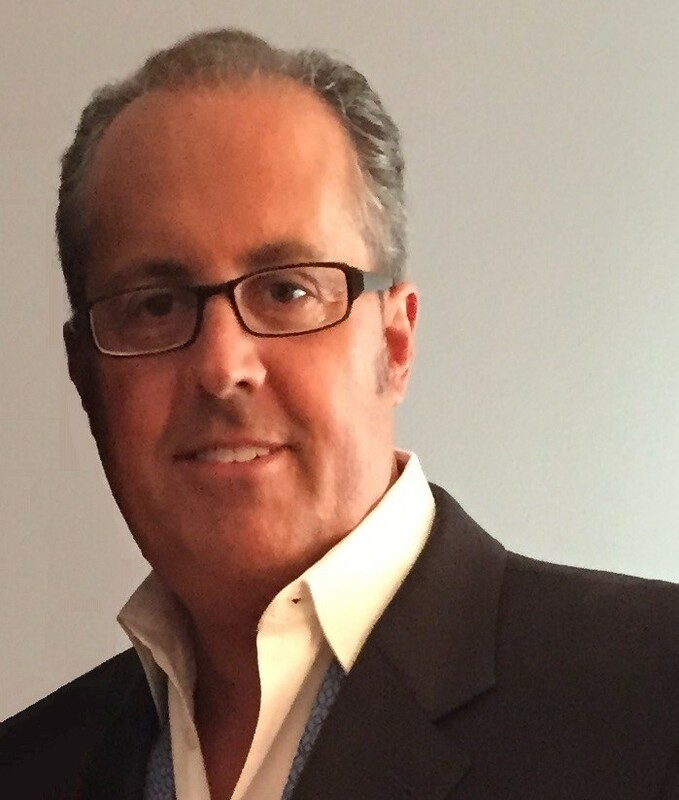 Since joining Greenthal in 1990 as an Account Executive he manages a variety of class A properties throughout New York City, supervising on-site personel. He keeps well informed about changing laws and regulations and is knowledgeable about building systems and mechanics. Jim, who enjoys an excellent reputation as an honest, conscientious and well-respected real estate professional, also serves his community as a trustee of St. Johns Riverside Hospital and is Vice Chairman of the Park and Recreation Board in the city of Yonkers. James Goldstick, a graduate of Boston University with a major in business administration, has served as Vice President of Greenthal’s MGRE Division since 1999. Involved in all facets of New York City real estate for over 30 years, he joined MGRE in 1982 as a Property Manager and became Director of Sales and Leasing in 1990. James specializes in consulting with board members regarding communication of the financial condition and legal issues of properties and the impact they might have on prospective purchasers and refinancing possibilities. He provides board members an analysis of complex financial and legal issues that are confronted by cooperatives and condominiums and the development of strategies to resolve those issues. James lectures frequently for professional organizations such as the Council for New York Cooperatives, and annual Habitat magazine conferences. Some recent lecture topics include exercising the right of first refusal in cooperatives, maximizing income for cooperatives and condominiums, forcing sponsors to sell apartments and how to deal with crisis in cooperative apartment buildings. Among James responsibilities at MGRE are board member relations, procuring new business and supervising sponsor management relationships. During the past 10 years Greenthal’s MGRE division has received numerous industry awards including New York City management company of the year. Steven Greenbaum is Director of Property Management of Greenthal’s MGRE Division. He has been involved in all facets of New York City real estate for over 40 years. Having joined MGRE in 1985 as a Property Manager, he quickly became Director of Property Management in 1987. Steven is directly responsible for the operation and performance of MGRE's Property and Asset Management Divisions. He personally trains and mentors each Greenthal MGRE Account Executive, to ensure the uniform superior competence of the entire management staff. His personal attention and hands on approach has evolved this division into one of the few residential management organizations in metropolitan New York recognized for both outstanding and innovative service delivery with an unwavering commitment to professionalism, honesty and integrity. A Registered Apartment Manager (RAM), a New York Accredited Realty Manager (NYARM), and (CPM) Certified Property Manager, he regularly leads seminars and symposiums on various topics in the industry and has won multiple management industry awards for his expertise in the areas of property management, financial management and major capital improvements. Steven Graduated from Brooklyn College with a BA in Political Science and is a graduate of New York University Real Estate Institute. Richard M. Rocca has worked in the real estate industry for over 34 years. At Charles H. Greenthal Management Corp. he is responsible for overseeing building upgrades such as facade restoration projects, sidewalk/vault repairs/replacements, boiler and burner replacements, gas/oil conversions, installations of stainless steel chimneys and liners, elevator equipment upgrades and replacements, building security systems, intercom systems, Building Link systems, building wide lighting upgrades/replacements and Geo-thermo systems. Prior to joining Charles H. Greenthal Management Corp., Mr. Rocca was a Senior Vice President and Director of Operations for Peter Sharp and Company-Church Management. In that role, he was responsible for the physical day-to-day operations of all commercial and residential buildings. He assisted with the conversion of these properties to cooperative and condominium status. He also held the position of Asbestos Coordinator and supervised all asbestos removal projects. He has extensive experience dealing with safety laws and regulations as set forth by Federal, State and City codes. He is proficient at dealing with contracts for new construction as well as the upgrading of structural and mechanical equipments. In all the positions he has held, he has been the liaison between Landlords/Cooperative and Condominium Boards and tenants as well as contractors and engineers. Richard Rocca has a Bachelor's of Science in Electrical and Mechanical Engineering Technology from New York Institute of Technology. He holds the following New York City Licenses and Permits: Refrigeration Engineering, Real Estate Broker, Asbestos Investigator, Asbestos Supervisor and Notary Public. 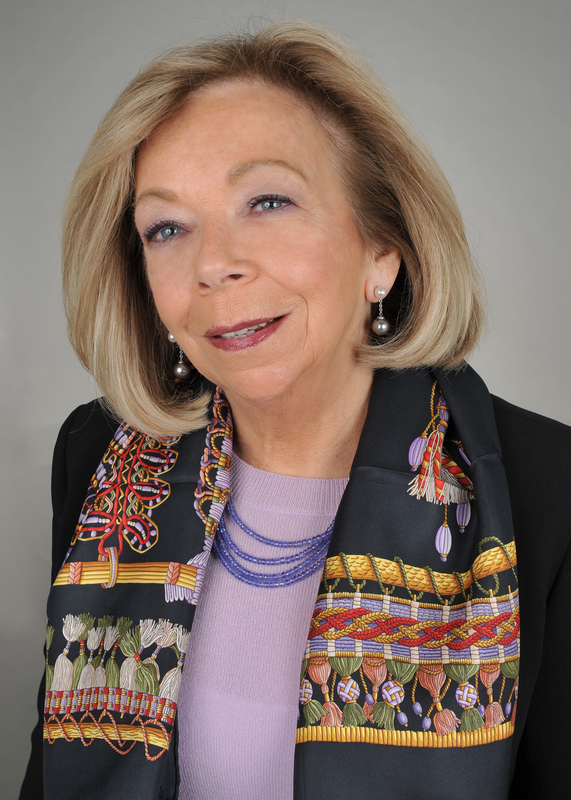 For the past 25 years, after completing her education at Marymount College and the Real Estate Institute of New York University, Linda Gawley has worked in condominium and cooperative management in New York City. She began her career managing a prestigious portfolio for Douglas Elliman Gibbons & Ives and became its first female Vice President in 1980. In 1989 she was a member of the founding team of Gumley Haft. In 2003 she joined Brown Harris Stevens as a Senior Vice President. Linda Gawley is a member of the Real Estate Board of New York and serves on the Residential Management Council. In addition, she is a member of the Council of New York Cooperatives and Condominiums, the Park Avenue Mall Association, the Family Circle Board, Mary Manning Walsh Home and Habitat for Humanities, New York City. Ms. Gawley handles a small group of select properties while concentrating her talents and vast knowledge of real estate in attracting and developing new clients to Greenthal's portfolio and heading Greenthal's Residential Brokerage Department. Homer Carroll is Director of the Closing and Transfer Department at Charles H. Greenthal Management Corp. Greenthal's Closing Department is a service department that prides itself in providing professional, courteous and prompt assistance to board members, shareholders, unit owners, brokers, lending institutions and attorneys to execute sales, subleases, leases, refinancing and inter-family transfers in over 125 Greenthal-managed buildings. Prior to joining Greenthal, Mr. Carroll served as Director of Cooperative Conversions for M. J. Raynes Incorporated, and was also associated with H.L. Michaels, Inc., and The Whitehall Group. Formerly he was with the law firm of Brill & Meisel where he assisted purchasers and sellers in cooperative and condominium transactions and coordinated closings for numerous buildings as a transfer agent. A resident of Manhattan, he is a graduate of Vassar College.